Christmas is coming up faster than the Millennium Falcon on the Kessel Run… or something, and if you’re not sipping egg nog and watching Elf then that means you’ve still got some shopping left to do. 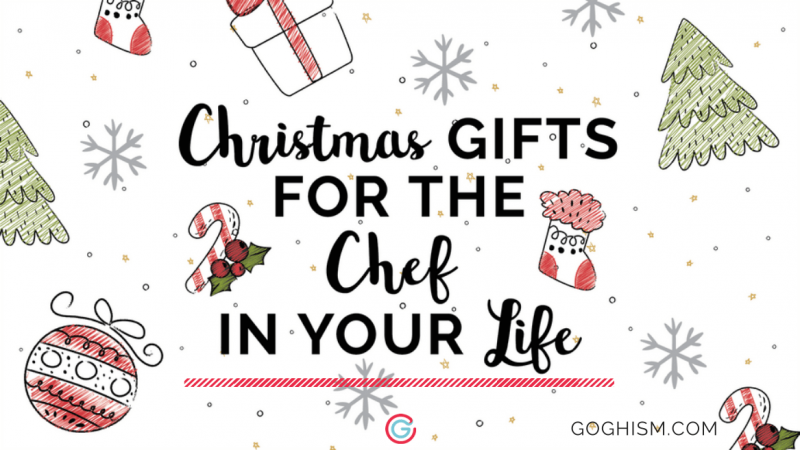 If you’re running dry on ideas for the chef in your life (or maybe you want to pad your own Christmas wish list) then you’ve come to the right place. Amateur, pro, wannabe gourmand, food brings everyone together so why not inspire someone to get into the kitchen and get their hands dirty making something that will bring a smile to your face? 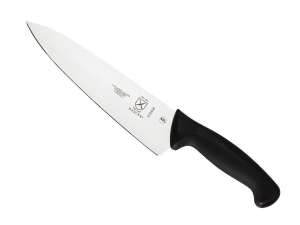 The Shun is like the Jordans of the culinary world, if you whip one out in a kitchen you better be able to use it. When a culinary school classmate of mine pulled one out of his case our chef laughed him out of the kitchen, too early for the young cricket. 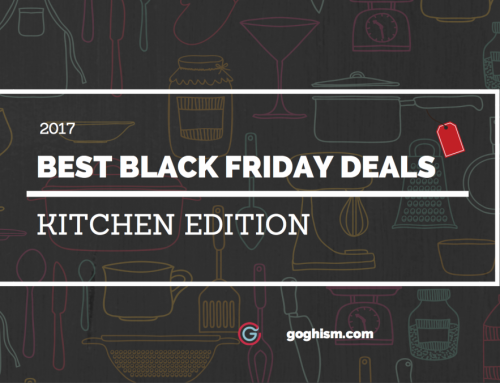 Forget best value or bang for your buck if you want to impress the chef in your life and give him or her something they will cherish and be proud of showing off this is what you want to get. Doesn’t hurt that the Damascus steel is gorgeous, the handle is beautiful in its minimalism, and it gets the job done. The problem with the Shun is that its almost too beautiful to use on something as pedestrian as an onion. In general (huge generalization here), Japanese knives are more for delicate, precision cuts (think sashimi). The handle on the Shun is too delicate in my opinion to be an all day work horse for your non sushi chef out there. During most of my prep at work I go with my German chef’s knife, but when I need paper thin slices of king oyster mushrooms or scallops I switch it out. The Mac Knife unites the best of the Japanese blade making world with a German style handle and heft resulting in a much more multi purpose blade that you can feel confident in holding. The dimples along the blade are a popular feature, enabling clean cuts through starchy potatoes that tend to stick. To me, when it comes to knives it really depends on preference, German or Japanese. German knives are great all around work horses, the blades are sturdier, the handles heavier, when you’re holding one you feel more rooted to the ground. If I’m staring at a massive slab of chuck or need to butcher 50 lbs of shank then I go with ze Germans. 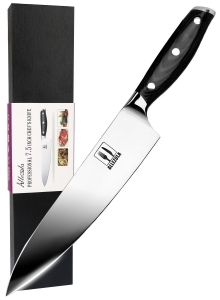 The Allezola is a beautiful knife that you can be proud of presenting as a gift, and although it might not have the name recognition of a Shun it will definitely prove itself again and again in the years to come. Now the knives above are all pretty pricy, if you have a burgeoning new chef in your life it might be a little intimidating to saddle them with a knife that they’re too afraid to ding. The Mercer Culinary Millennia is not a pageant winner by any means, but if you want a great utility knife (with an even better price tag) this is what you want to get. Don’t let the aesthetics of the handle fool you, this knife is great for what it is, an all day workhorse that you won’t care too much if it gets stolen or dinged up. A chef de cuisine I worked for preferred to grind these down into a nub and just get a new one. Seems like plastic, bendy, flimsy cutting boards are the rage right now… or maybe I mainly hang out with practical people; but there’s something to be said about cutting on wood. I feel more confident and assured when there’s a heavy, solid slab of wood under my knife. Also there’s nothing more rustic and impressive than serving a great roast or charcuterie platter on a beautiful wooden board. 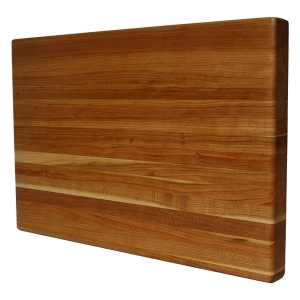 It might be a little intimidating to see a cutting board that comes with maintenance instructions but really all you need to remember is to keep it dry after washing (just wipe it down with a paper towel and don’t let it lay flat), and whenever you think it’s looking a little too dry wipe some mineral oil into it. The more you rub in mineral oil the more you’ll fall in love with this beautiful piece of wood. At the end of the day, unless you’re a hardwood aficionado wood is wood. 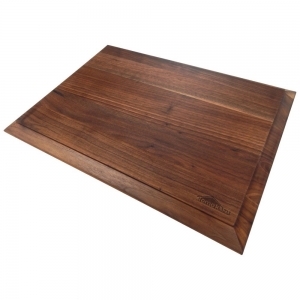 The Walnut cutting board by the Virginia Boys is a much price friendlier option than the Kobi, just make sure to check the sizes of any cutting board you get before buying, these are all on the larger side. I personally prefer walnut over cherry (aesthetically) and the edging on this board makes for a great presentation piece. There are really no major differentiating factors between the Tomokazu and the Virginia Boys Kitchen cutting boards other than style and size. 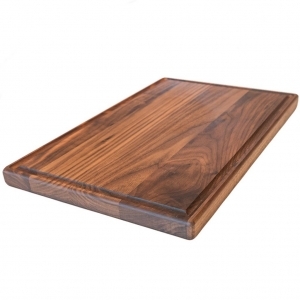 This is a great walnut cutting board (as is Virginia’s), so be confident that whichever one suits your fancy you (I mean your friend) will keep feeling great for years to come. Call me a Luddite but I’m not too big on sous vide cooking, I prefer playing with fire. However, there’s no denying the legitimacy of sous vide and the options it can open up in your life. Sous vide cooking has been making a big come back recently with one man shops in Japan pumping out hundreds of dishes all because of sous vide. 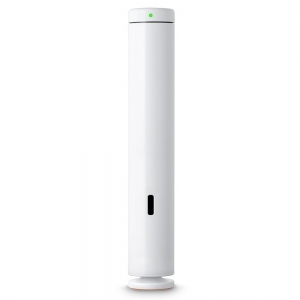 ChefSteps is a great Youtube Channel (they are one of my personal inspirations) and they put out a great sous vide machine that is convenient, but more importantly ingeniously supported with an app that will guide you through every step of the process. So if you want perfectly cooked meat, every single time, with very little stress this is the gift for you… I mean your friend (I really need to stop thinking of gifts for myself). ChefSteps is more for the millennial in your life, it’s new, it’s sleek, it straight up looks like an iphone, but if you’re looking for a gift for the serious pro in your life Anova is the way to go. 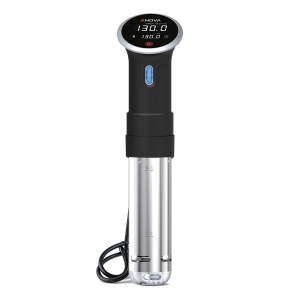 This here is about getting the job done, Anova’s been in the game for a long time now and they put out a great precision sous vide machine… circulator? Whatever you want to call it, this is a great gift that your taste buds will be thanking you for more than your friend. 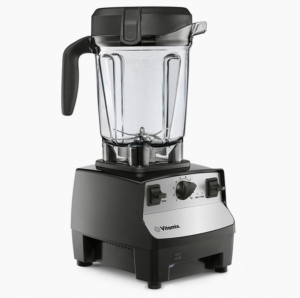 Vitamix is like Kleenex, Xerox, or Band-Aid you wouldn’t even think to call it a ‘blender’. There’s a reason why these are the chosen tools in culinary schools, restaurants, and homes. These might not be the most beautiful or stylish blenders in the world, but these workhorses won’t let you down, and the chef in your life will quickly forget how beautiful his or her more ‘modern’ blender may be once that smell of burning rubber starts wafting into the air. If you’re not too sure on how useful a blender is in a kitchen maybe get one for the wannabe bartender in your life and see how much fun you have ;). Blenders are pretty pricey and take up a lot of space on the countertop. 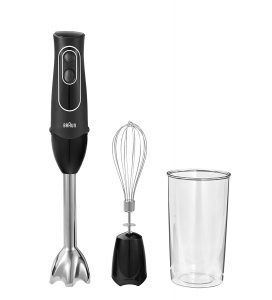 For the more price or space conscious out there, the Braun hand blender is great alternative. Hand blenders are super convenient, versatile, and anyone that’s had to whip up a batch of Chantilly cream with a wicked hangover will tell you that the whisk attachment is a godsend. Obviously it doesn’t have the power of the Vitamix, but it’s much easier to clean up and can still get your friend that rich, velvety texture on that bisque or soup. Gadgets and fads come and go, stay away from the late night infomercials there’s a reason it’s playing at 2:00 in the morning. Dutch ovens were around before the Oregon Trail was blazed so that kids could play a game where everyone dies of dysentery… I digress. Dutch ovens last forever, are amazing cooking vessels, and will show you everything that’s wrong with every other pot you’ve seen in your life. 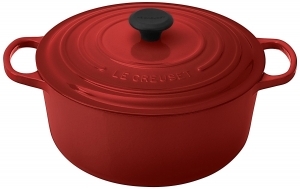 If you’re going on name recognition Le Creuset is what you’re looking for; these beauties have been the mainstay of the culinary world for years. If I see one of these in a kitchen I know that my dinner is in good hands. Some people might consider shelling out a cool $400 for a pot to be a little… much. 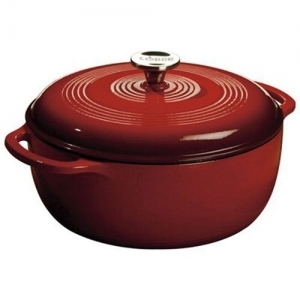 Luckily, Lodge has been putting out a dutch oven of their own that won’t break the bank but will ensure your friend or family member’s beef bourguignon will come out perfect every time. Might not be as stylish as Le Creuset, or carry the name, but you won’t be losing out on quality. Rest easy that with a Lodge dutch oven your friend will be thanking you more than your wallet.